The early history and the current life of Alexandra Headland is intimately bound up with the history of its neighbouring suburbs and the two rivers it sits between – Maroochy and Mooloolah. The beach has always been one of the areas “richest assets” whilst its green belt is the only coastal forest remnant between the two rivers. Achieving the balance between development as a seaside resort, and protection of the natural environment has always been an issue – then and today. The first inhabitants of this area are generally acknowledged to have been the Undanbi people – small family groups of aborigines who occupied these coastal plains. Distinguished by language and cultural traditions, they had cordial relations with other neighbouring groups with whom they shared a common language or dialect. No direct references can be found to an aboriginal name for this area or rocky headland, but the first built house was named “Wongothin” after the beach (and “wonga” means pigeon in Kabi Kabi dialect) and the surrounding property was named “Coolaluthin”, after the aboriginal word for cypress pines. The influence of aboriginal culture is preserved in the names for the rivers of Maroochy (black swan) and Mooloolah (black snakes – ‘mullu’ & fishing nets – mula). Captain Cook sailed past our coastline on May 17th 1770 in the Endeavour and a commemorative cairn was erected on top of Alexandra Headland in the bicentennial year of his visit 1970. 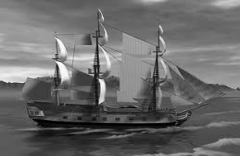 In 1802 Matthew Flinders sailed past on an expedition to chart the coastline of New Holland in The Investigator. Neither explorer came ashore to discover the beauty of the region. During 1823-24, three shipwrecked convict timbergetters were befriended and assisted by the Undanbi peoples of Mooloolah and Maroochy Rivers and they learned some of their language – a fast spoken dialect of the Turrubul language group. Other escaped convicts from Moreton Bay also lived for many years with many tribes. Leichardt described them as “generally taller, slimmer people than the inlanders” and others noticed that they could be distinguished by the large callous on their wrists which developed as a result of manipulating their fishing nets. In the 1830s-1840s it was estimated some 80 Undanbi lived at Maroochy River with another group of similar size on the lower Mooloolah River. 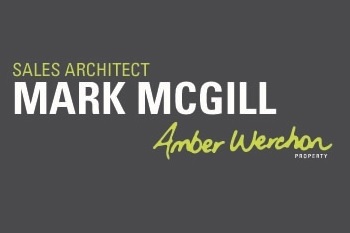 1840-1860 Timber Exploration & Conservation Legislation. Andrew Petrie explored the coastline in 1838 and 1840 asessing the economic potential for timber and he named Maroochydore. The Bunya Proclamation of 1842 (early conservation legislation) recognised the importance to aboriginal people of the Bunya Pine Trees, and created a reserve that included Alex to protect the area from timber felling and grazing. Ludwig Leichardt, naturalist and explorer, also described and crossed both the Mooloolah & Maroochy rivers in 1844. In 1862 it was Tom Petrie (son of Andrew) who was one of the first to venture into Maroochy to exploit timber resources in 1862, and who is acknowledged to have had a great understanding of the aborigines. But it was William Pettigrew, a friend of the Petrie family, who was able on August 4th 1864 to purchase a 330 acre property of lands and forests to use as his base for a saw mill. Portion 2 of this, some eighty acres, encompassed Alexandra Headland (and the beach he called Wongothin) were purchased for 124 pounds. Pettigrew also owned a fleet of steam and sailing ships. Pettigrew built the first house on Alexandra Headland in 1869 on high ground on the sheltered north side of the headland on land he named Coolaluthin and from where he could survey much of the land he owned. He also established a small farm and experimented growing sugarcane. Helen Gregory reports that it was not until the influx of white settlers in the 1870’s that aborigines were forced to retreat from their traditional lands and food sources, and access to sacred places were denied. Traditional Aboriginal ways of life, kinship & religions systems began to collapse in the areas near the river where new settlers began to change the land and it natural productivity. In 1871 Pettigrew moved a house from Mooloolah to the headland for his overseer and named it “Wongotha”. 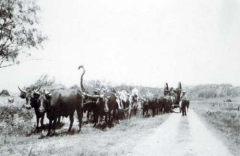 The esplanade along the beach became a traffic route to the timber mill from Maroochy River and the Alex area was fenced as a paddock for the bullocks who hauled the cedar, beech and she-pine logs. A small store opened between the two houses to supply the basic needs of timbergetters and early settlers. When John Potts took on the Pettigrew overseer’s job from 1880 – 90, the land around the Headland quickly came to be known as Potts Point. By the end of the century, Pettigrew’s business interests were severely affected by the depression and the Banks foreclosed on his lands. Thomas O’Connor, a surveyor, purchased all of Pettigrew’s land on the coastal plain in 1903 including all of the area he would later name Alexandra Headland. 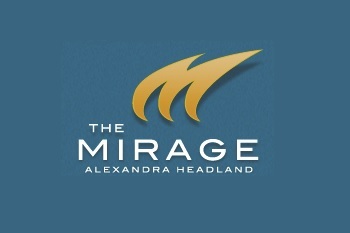 The land parcel included land from Okinja to Pacific Terrace, including the land now known as Alex Forest. Hinterland residents were increasingly visiting for camping holidays and fishing trips. All the houses on the Headland were burned in a bush fire but demand for re-building was strong! Mooloolah Cemetery established on land at corner of Pacific Terrace and Alexandra Parade. Despite WWI, there was increasing demand for relaxation, so land owner and developer Tommy O’Connor subdivided the first allotments in Alexandra Headland in 1915 to develop a seaside resort (Mary St to Lindsay St and Janet St to Pacific Terrace) followed by allotments along the ocean front and Buderim Road . 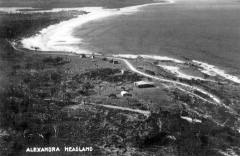 At this time O’Connor renamed the area Alexandra Headland in honour of the beautiful 70yr old Queen Alexandra (the Queen Mother). Nambour Chronicle describes the “resurrection” of this seaside bay when the first houses were built on lots 68 & 69 , replacing houses that had been burnt down eight years earlier. It hoped for a “coming seaside city”! But not all his developments were welcomed and his plans for a larger hotel on Buderim Avenue were defeated in 1916. The desire to protect scenic places against the thrust of tourist development persists to this day. In 1917, a boat and tram service operated to Nambour and Alexandra Headland could boast boarding houses and holiday homes. 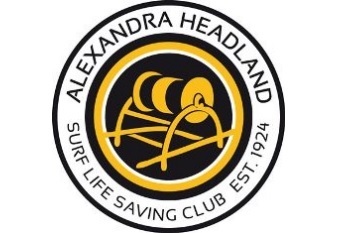 The end of the war sparked a boom in holiday villages and Woombye residents built a number of red-roofed seaside cottages on Alex Headland, and then founded the family orientated Alexandra Headland Surf Life Saving Club in 1924. Built by volunteers, mostly from Woombye, it seemed appropriate to adopt the Woombye Rugby League colours of a black stripe and gold background which symbolises a black snake and the golden wattle. It took them only one year to win the champion club title which they held from 1925-1927. O’Connor completes a vision for the first fully integrated resort complex on the Maroochy coast – and built a magnificent hostel on 36 acres opposite the Surf Club. As a business it was affected by poor transport,and his failure to obtain a liquor licence and the Great Depression of 1929 put paid to this enterprise. Many community groups arise – the Maroochydore Progress Association in 1920 and in 1924, Buderim identity Vince Crosby was the President of the Mooloolaba & Alexandra Headlands Progress Association. The improvement of the coastal road is attributed to the Progress Association who built the first gravel road between the rivers in 1922 after the Council prioritised other agricultural roads. At times however the sand drifts near Alex Surf Club made the road over the headland impassable and people had to frequently travel via Buderim! In 1927, the Brisbane Courier described the beaches of this area as a “seaside trinity of great beauty”. Large heavy wooden surfboards appeared on the beaches – even Mum’s old ironing board occasionally got an outing! 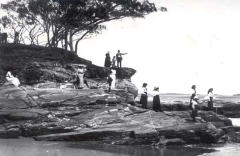 Alexandra Headland remained a place for relaxation – camping in public areas along the beachfront was common despite few public facilities. The Presbyterian Church Youth Camps staff began to consider Alexandra Hostel as a future campsite and negotiations to purchase the land began. By this time, most of the aboriginal people of the area had been sent to Cherbourg Mission – many miles inland far from their cultural homelands by the river and sea. There seemed to be no place for them in the changing Maroochy landscape. The recognition of the beaches as the Shire’s richest assets resulted in some funding for public facilities for those who camped, as well as changing sheds and toilets. Members of the Voluntary Defence Force mounted patrols on the headland. The US Army commandeered part of the Alexandra Hostel for soldiers R & R. A section of the Australian Army also occupied the building and built a large coop to house carrier pigeons in the grounds. The 22nd Battalion camped by the beach in grounds now known as Trotter Park. The Presbyterian Church under the guidance of Norman Nelson, the Director of Christian Education and Youth Welfare, purchased the hostel and Alexandra Park a total of 173 acres from the O’Connor estate, extending from the beachfront to Cathedral Hill in 1945. Church camps are conducted on the property continuously to present time. A Mr A.J. Frost, who owned a clothing business in Nambour, had purchased a large parcel of land bounded by Mary Street, Buderim/Mool Rd and and in 1948 he subdivided this into 34 allotments and developed local roads. Big support for the tourism industryled by Shire Chairman Low, who with great fanfare 1952 opened a modern caravan park at Alexandra Headland on the beachfront. This closed off Alexandra Parades direct link from Alex Beach to Maroochydore Beach. 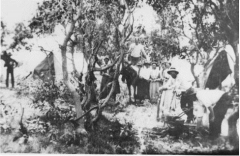 It was the first council sponsored caravan park in Queensland and Australia – and celebrated with the planting of some 40 pine trees. A Presbyterian church was erected in Edward Street, and a land selling spree by the church in 1958 included the top of Cathedral Hill through to Okinja Road. There was much discussion on linking the three coastal townships of Maroochydore, Alexandra Headland and Mooloolaba. The gravel road was still under control of the Shire, but the ambitious Nicklin Government wanted to build a coastal highway. In 1958 Maroochy Shire introduced a development plan with regulations to cope with future development of coastal areas. Perhaps it was the damage created by the cyclonic weather of 1954, 55 & 56 with resulting erosion that led to concern for natural environment again conflicting with large development plans. Whilst the Mooloolaba Alexandra Headland Progress Association worked throughout early 50’s and lobbied Council for modern urban amenities like street names, signs, public phone box, street lighting, and a water tower. In 1958 a large event was the Wheelbarrow Race from Alex to Mooloolaba Surf Clubs, and Alex had its own Badminton Association. Queensland Government established a Beach Protection Authority in 1967 in response to a sand mining debate and resistance to building on dunes. In Alex, further sub-divisions occurred on McClintock land (Mooloolaba/Buderim Rd, Alexandra Parade and Edward Street) and the Thynee estate (Mary St, Juan St, Alex Pde). 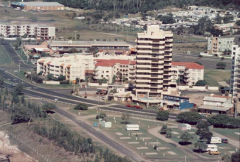 Mrs Betts-Ann Coates developed “the only sophisticated restaurant and accommodation complex on the Sunshine Coast” when the Boolarong Restaurant and Motel opened in 1967. It remained for many years an iconic meeting place in Alex. 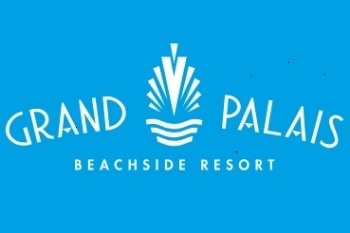 The new holiday apartment building on this site is called Grand Palais. There was considerable debate locally and in the shire as to what type of building (and height) should be allowed on land near the fragile beaches, and how to protect the dune systems. In January 1976, large waves from Cyclone David eroded coastline in front of Boolarong. 1000 sandbags and rocks were used to stabilize the area. Still strong enthusiasm for the potential of the tourism industry and camping still allowed on beachfront land north of The Surf Club. The decade closed in great controversy as discussions on traffic solutions in Maroochy Shire including “demaining” and a “four lanes controversy”. Amidst much controversy about leaks and plans, Alexandra Parade was upgraded to four lanes in 1980 when many wished for the funding to be allocated to bypass roads (like the Motorway which was finally opened in 1990 as a Toll Road). The Uniting Church attempted to sell land but some local opposition. High rise development continues in Alex. Much debate about whether a separate Council to look after coastal interests required, as many felt higher coastal rates were subsiding inland areas. Rising environmental consciousness leads to studies on environmental impact being required for all large developments. Many new high rise developments north of The Surf Club. The Uniting Church land containing the old youth conference centre (directly opposite the Alex Surf Club) and the “Alex Forest” bushland was finally subdivided and sold, and in its place the Alex Shores Resort, and the Alex Shores Estate were developed. In 1995 the Presybterian Church also sold part of their land for the “Tranquil Place” subdivision – not without great opposition from those determined to protect Alex’s remnant forest. The Maroochy Shire was convinced to purchase 3.58 hectares, and a result of this campaign “the Shire conservation levy” was introduced to facilitate the future purchase of Shire bushland with conservation value. A further 2.5 hectares were purchased from the Presbyterian Church by Maroochy Shire Council for preservation in 2000. Commercial sponsorship comes to lifesaving in the form of “Iron Man” competitions. 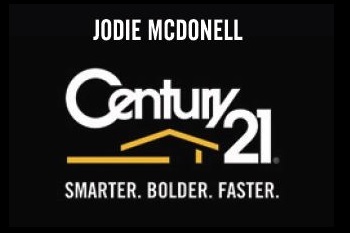 The Mooloolaba Triathalon begins in 1993 and develops into one of Australia’s premier athletic events, with cyclists and runners pounding Alexandra Parade. The rise of the house prices in the triangle reflected the increasingly sophisticated homes being built and renovated throughout this small suburb. The old church on Edward St was replaced by units. The first property in Alex to care exclusively for the elderly was opened – RSL Tantula Rise is a great addition to the community. Traffic through Alex becomes a central issue. Although the opening of the Sunshine Motorway many years previously (1990) took some pressure off the coastal road, increasingly the road through Alex was seen as a “thoroughfare” – and the atmosphere of a people friendly Alex degraded. The opening of Maroochy Boulevard relieved some pressure, but when the State Government Coast Connect project suggested six lanes along the beachfront, the people reacted. The” No Six Lanes” campaign was very effective but proposals for bus advantage lanes are still to be resolved. No other beachfront road has four lanes, and all are at 50kph or less. Why Alex? After a colourful renovation and expansion, people power forced the Alex Surf Club to re-think another proposal for further expansion of the club at a site on the western side of Alexandra Parade – backing into Alex Shores residential estate. The decade was coloured by some significant public events. Large crowds watched the sinking of the ex-HMAS Brisbane on 31 July 2005; the surfers farewell to Steve Irwin in September 2006; and then a great welcome home to lone adventurer/sailor Jessica Watson on 6 June 2010. A community association in Alexandra Headland is re-established and a website for the community of Alexandra Headland is launched. Increasing environmental concerns about the stability of the dunes, a coastal walkway and how best to protect our beaches and natural environment. Alcorn, Berenis: A Rising Seaside Resort. 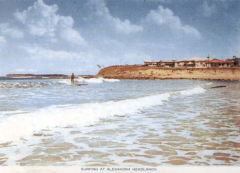 Alexandra Headlands – A Historical Study , 1998. Fink, Fred: History of Maroochydore-Mooloolaba, 1992. We also welcome photographs from members of the community, and hope this historial resource can be improved. 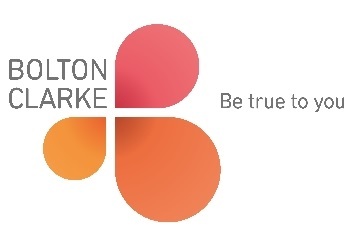 Please contact us if you have further information you would like to share.